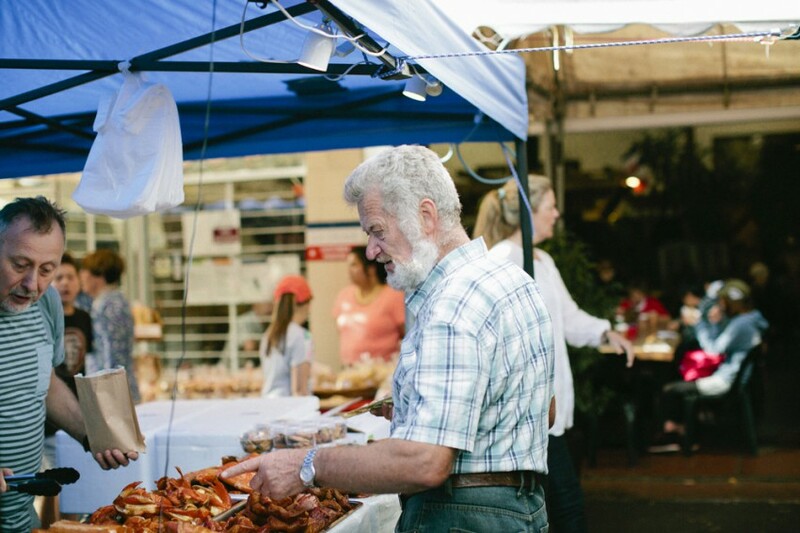 Voted Auckland’s Best Food Market by Metro Magazine for the last 8 years, La Cigale French Market is held every Saturday from 8am to 1.30pm and Sunday from 9am to 1.30pm. Our Market is inspired by the wonderful food markets found in France. 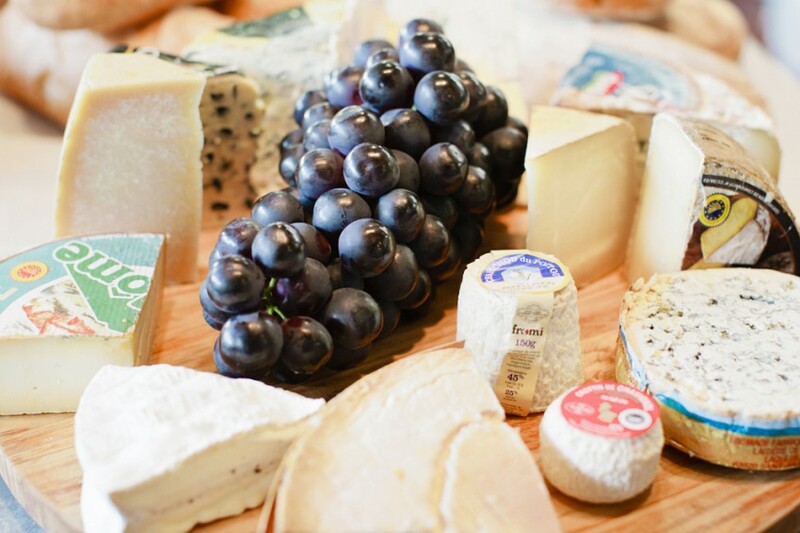 You’ll find an amazing selection of top quality products from both New Zealand artisan producers and growers and from overseas. Shop for your weekly needs. You can buy fresh produce in abundance, fresh breads and pastries hot from our oven, French cheeses, export quality meats, the freshest fish, smoked Akaroa salmon, healthy salads, flowers and orchids, Italian pasta, salamis and sausages, award winning Italian style cheeses, extra virgin olive oils, manuka honey, pâtés and terrines, jams and chutneys and lots more. And, as in any French Market, the aromas of roasting chickens in the rotisserie and paella cooking will waft through the air. 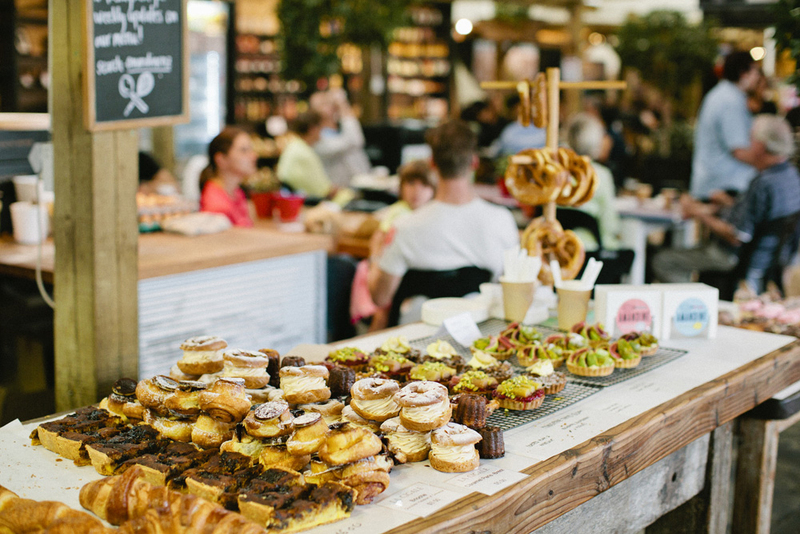 When you’ve finished your shopping you can sit at one of long communal tables and enjoy a coffee with something delicious from one of counters – your eyes will be much bigger than your stomach!! For something savoury have one of our famous Croque Monsieurs or the best Bahn Mi sandwich in Auckland or mouth-watering beef bourguignon pie or a slice of one of our many tarts. 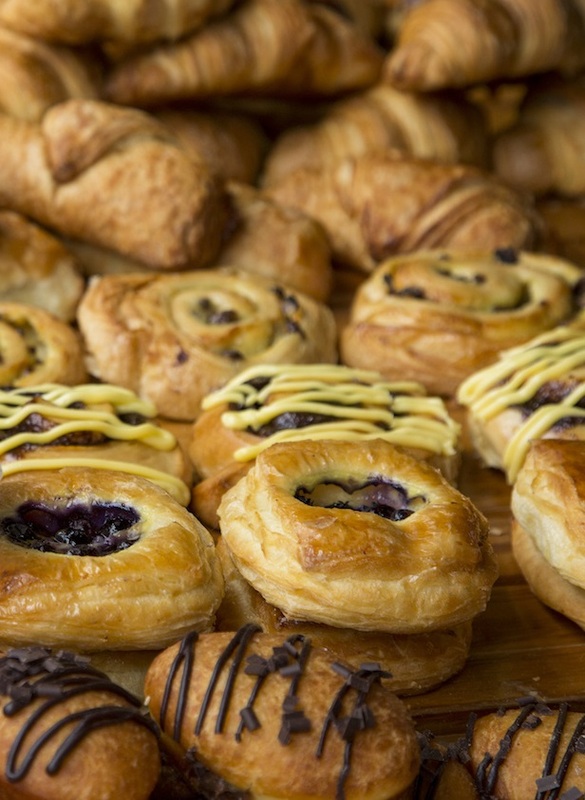 If it’s sweet you’re after the choice is also endless – enjoy a hot croissant or pain au chocolat, freshly cooked danishes, fruit tarts from Amandine – we could go on!! 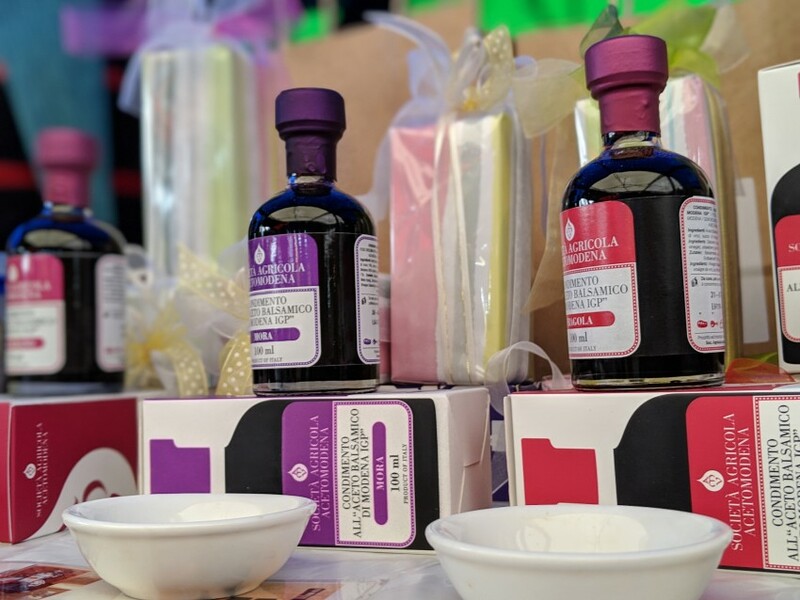 Naomi sells top quality balsamic vinegars and glazes which she imports directly from Modena in Italy. 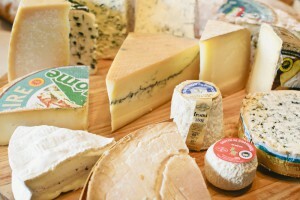 All are traditionally aged and are 100% natural. Once you try these you won’t buy any others. 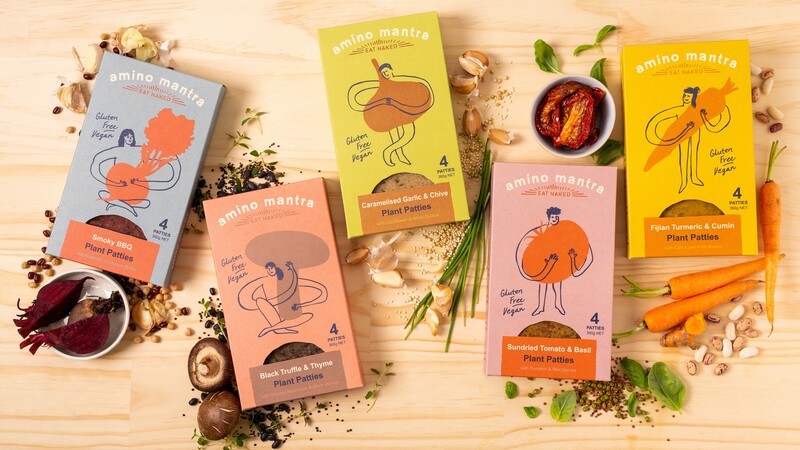 Amino Mantra is founded by husband and wife team, chef Pritesh Kajaria and food scientist Trang Duong-Kajaria. Using their combined skills in food science and culinary art, they started to produce delicious, nutritious food from organic ingredients that made them feel fantastic. 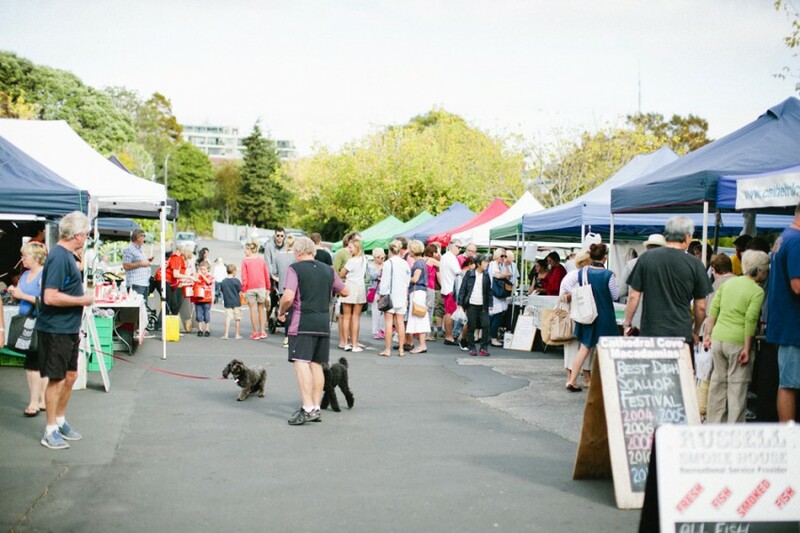 They are proudly handcrafting their plant patties in Auckland from organic ingredients where possible and sharing the love for good food with people at La Cigale French Market since December 2018. Pritesh and Trang are here every Saturday from 8am till 1.30pm, doing tastings, sharing their story and looking to add value to your lives through their allergen-friendly plant-based patties. 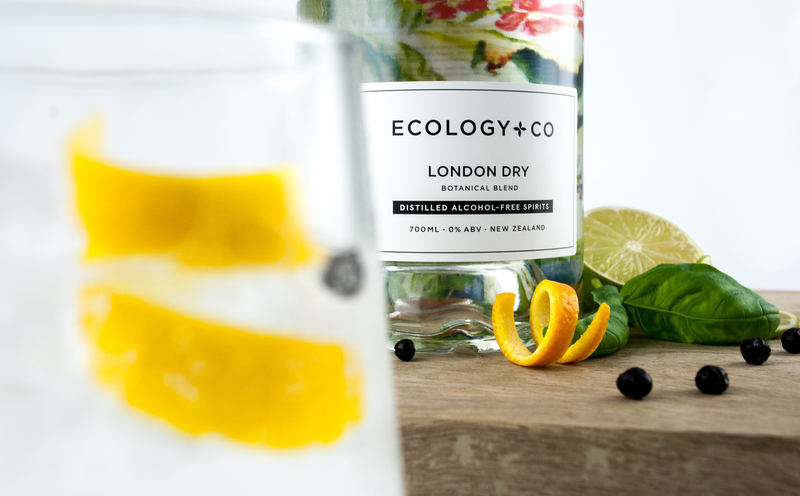 They’re artisan producers of distilled alcohol-free spirits, handcrafted in New Zealand. Their delicious beverages are made from small-batch distillations of traditional gin botanicals and aromatic spice blends. Available in two variants: London Dry and Asian Spice – they pair luxurious flavours with complex craftsmanship, to deliver an evolved drinking experience without alcohol, sweeteners or carbs. This family owned and operated business is the epitome of NZ agriculture. The Bignell family work together to provide the best cherries on the market. All fruit is tree ripened, left until the optimal picking time and then packaged and sent to the market floor within 24 hours. Fiona has a very loyal following for her baguette sandwiches filled with ham cut straight from the bone, aioli and one of her home-made chutneys. To take home she has a range of sauces, salads and yummy chocolate brownie. Tracey’s cut flowers are amazing – definitely essentials for home or office every week. They’re always so fresh and you’ll find a great selection to suit any décor or situation. She has a great eye for finding flowers in more unusual colours and varieties. As well Tracey is available to do flowers for weddings and parties. Foundry Chocolate celebrate and accentuate the remarkable personalities of the world’s finest cacao by crafting and aging micro-batches of bean-to-bar craft chocolate from scratch – using only two ingredients: Cacao Beans and Organic Sugar – all from their foundry in Mahurangi, New Zealand. They offer full tasting flights of their incredible chocolate range – which is an absolute must to experience. You can find them inside at the Parnell market, next to our ever popular French Pastry pop-up. For authentic French crepes you can’t go past those made by Naomi and Tom who have recently come to live in NZ from France. Crepes are made to order with your choice of topping. Arek and his wonderful team are here every weekend, Saturday and Sunday with fresh, affordable, organic and sprayfree fruit and vege! Plastic free produce. 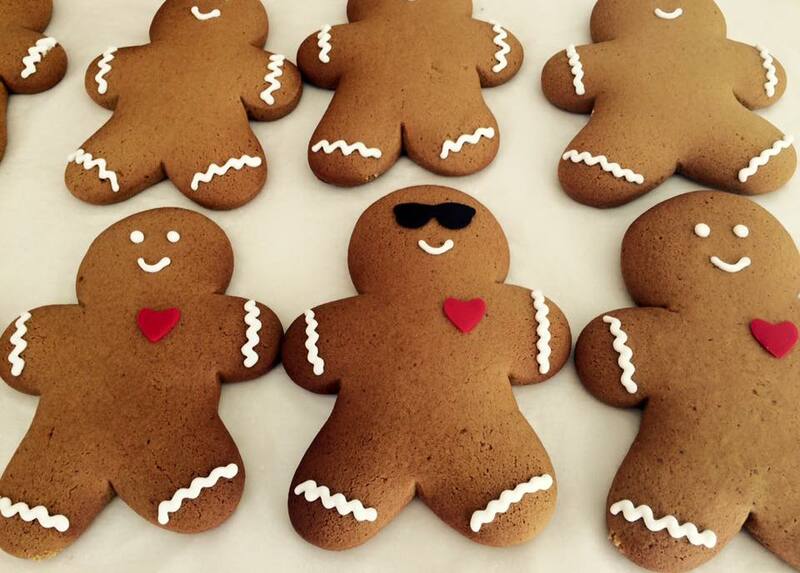 Edith of Gingerbread Magic makes traditional European gingerbread using raw honey. All cookies are handmade and individually decorated in traditional Eastern European style. 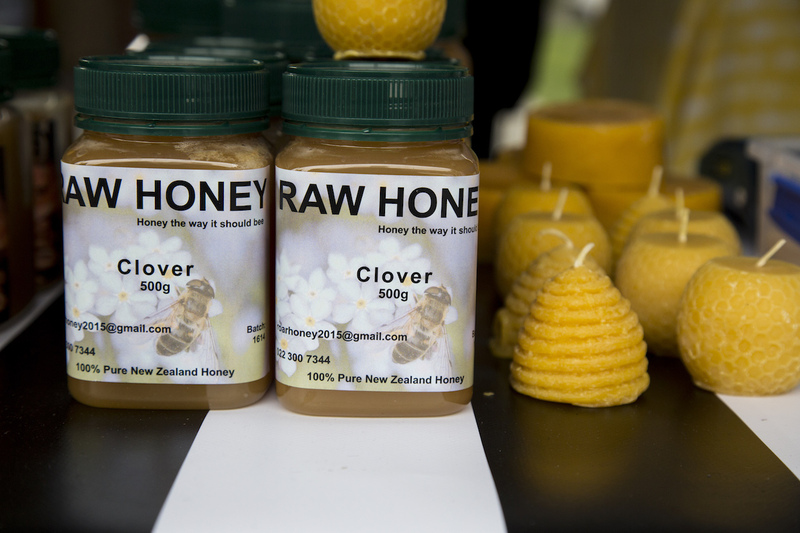 As well she has a great selection of raw honeys – Manuka, clover, wetland and more. 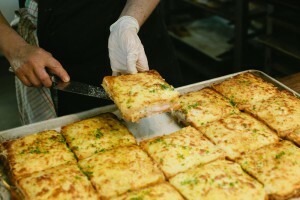 If you’re a bagel fan, you’ll love Goh’s selection of fresh bagels made in the traditional way. He also sells crunchy and moreish bagel crisps, mini bagels and at Easter, hot cross bagels. For a great start to the day, try a juice freshly squeezed to order by George and Lily. You can choose from the menu of fruit and vegetable juice combinations or they’ll even make your own combination. Kalon Digor is born from a dream of Luc Jorieux, a Breton who has a passion: bringing to you authentic and delicious recipes. “Cooking and baking has always been at the forefront of my thoughts and passion. Creating Kalon Digor is a way for me to share with you my passion for authentic recipes. I am transmitting traditions from Brittany for you to enjoy with your friends and family”. For generations, NZ beef & lamb has been served in top restaurants around the world! Karapiro Prime is proud to say the export grade meat from our farms isn’t just going overseas, it’s also being sold directly to you; the every day kiwi. 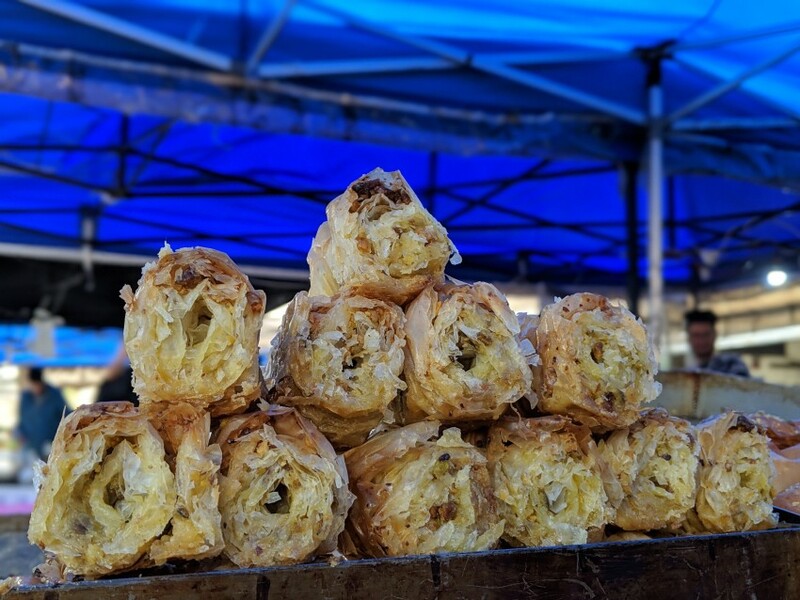 Robynne is one of our seasonal stallholders – one that we eagerly await every year! She brings her delicious Bay of Plenty grown kiwiberries, the mini kiwifruit hybrid that us Kiwi’s have grown to love. Squeezing four Frenchmen in a shipping crate was not easy, but it was worth it. 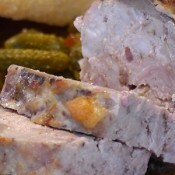 They now squeeze generations of charcuterie tradion into every L’Authentique product. 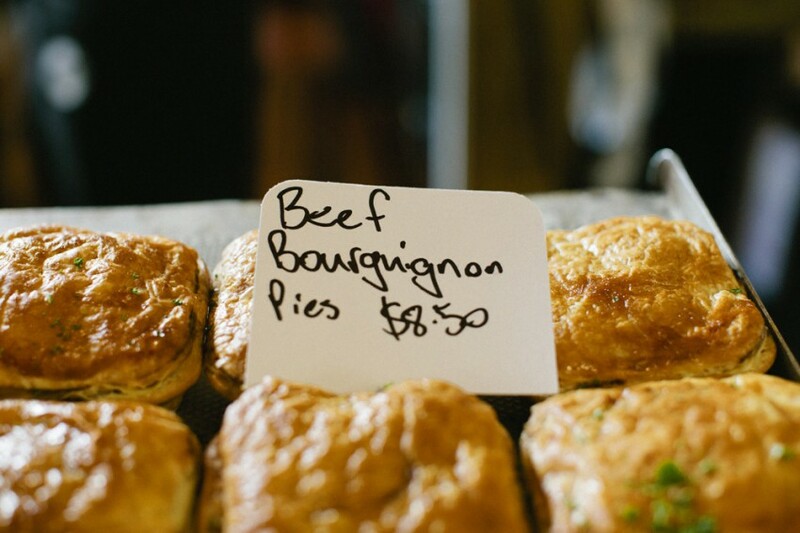 Hand-crafting quality cuts of free-range NZ meat to recreate true french style products fresh for you. Mamaku Blue Blueberries Orchard grows and supplies the finest blueberries and gooseberries in the Bay of Plenty region. Based in high altitude, grown on volcanic ash since early 1980’s and toughened by rainy, cold and frosty weather their blueberries are packed with flavour and most important boost up with high level of antioxidants, especially transferred into their 100% Pure Blueberry Juice. Phillip is at the market every weekend with fresh blueberries during the season (usually January to April) and the rest of the year he’s here on the first Saturday of every month. Edith sells a great range of raw honeys all of which are very good value. Varieties include Manuka, wetland, bush, clover and more. You can sample before you buy. As well Edith makes and sells traditional European gingerbread using the raw honey as one of the main ingredients – see Gingerbread Magic below. Kristina’s journey with Milk 2.0 started a year ago, however an idea was conceived long time ago and was maturing along nicely until it bursted out in Milk 2.0 brand. Started from her home kitchen and delivering to her friends initially, within 10 months Milk 2.0 is ready to provide New Zealand with the most delicious and fresh nut milks. Along her journey she has been constantly supported by amazing feedback from people who have tried Milk 2.0. This love was her fuel to move forward, especially when it got really hard. As far as she’s come, she’s only just scratched the surface of what’s possible with Milk 2.0. Come and meet Kristina and taste her 100% dairy free, vegan, gluten free, no refined sugar milks. What a god-send, Lance, Mister Sharp attends our market every second Saturday for all your knife sharpening needs, using a rotating wet stone to give items a superior edge. Visit his website to check upcoming dates. Billy is both a fresh fish and smoked fish expert. 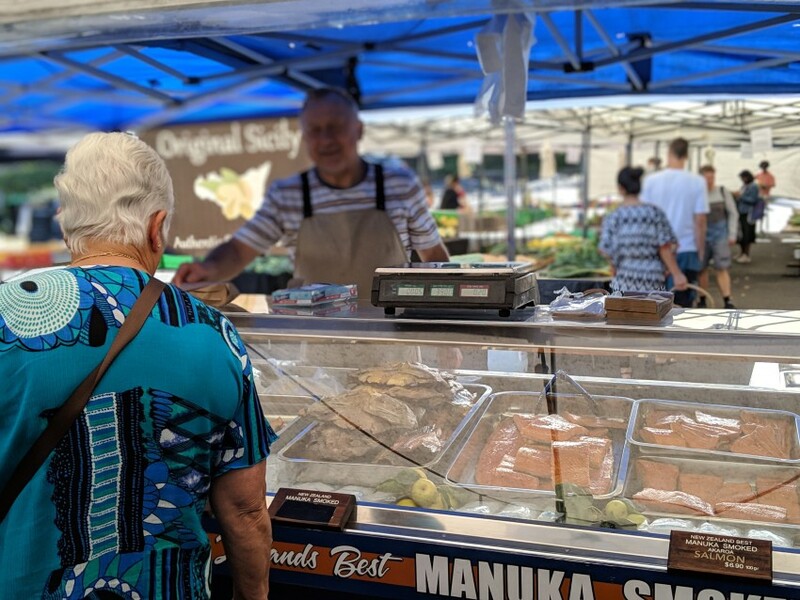 He brings a variety of smoked fish products to our market – salmon and salmon frames, mussels, a variety of whole fish and pieces as well as the most delicious smoked roe. We have it on toast for breakfast nearly every day. It’s highly recommended. 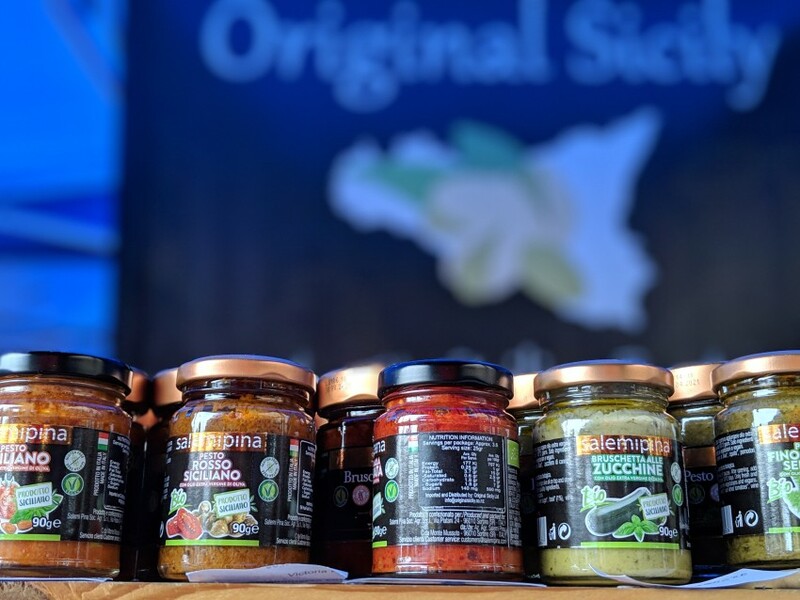 Original Sicily is an online store and distributor of imported fine Sicilian food into New Zealand. Dario is very passionate about his land and its food and he will give you a taste of Sicily through his very typical products. Each one of them has a store and a tradition behind it and Dario will always be more than happy to share it with you. Organic Mechanic was founded at La Cigale in 2013 to serve and educate people about health and wellbeing through providing some of the freshest and nutritious organic smoothies on the planet. Since its birth, OM has expanded into stocking OM Kombucha (a refreshing, effervescent probiotic fermented tea) into organic and retail stores all over Auckland. You can still find their flagship storefront serving a range of organic smoothies, matcha lattes, and kombucha on tap in the ‘OM Shack’ every Saturday and Sunday. Aaron spent 8 years in Southern France close to Spain playing Rugby League. Often travelling to and from the Catalunya border where he was surrounded with amazing culture and food when he had the idea to bring the flavour back to New Zealand, hence Paella Pan was created. Aaron and his team now cater many private functions from weddings to corporate events with their authentic Spanish cuisine such as Tapas, Salads, Paellas & desserts all made in-house including their own Chorizo & Sausages avoiding all processed foods. Aaron, Susana and their staff are happy provide more information at the market. 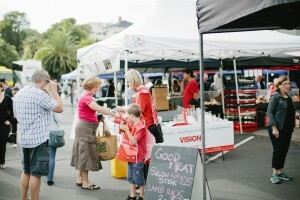 Jason is one of our first stallholders from the start of the market. Very early every weekend morning his team are making a large selection of artisanal handmade breads and pastries ready to sell. We love his spicy fruit loaf and traditional German-style sourdough rye and his mini ciabatta rolls are great to keep in the freezer. Gemman International Limited established in 2015, is a Food Distributor, importer and exporter company based in New Zealand. We source out the finest luxury and lifestyle products and healthy food solutions for all consumer group. Our Food Distributor, importer and exporter services includes New Zealand and worldwide coverage. We partner with unique and specialize food suppliers from around the world and will continue to grow our partnership with both distributors and suppliers to providing you and your customers exclusive lifestyle and healthy food products. Pedja and his family are passionate about producing top quality salamis, cutello, prosciutto, sausages and more using Freedoom Farms pork and organic meats. 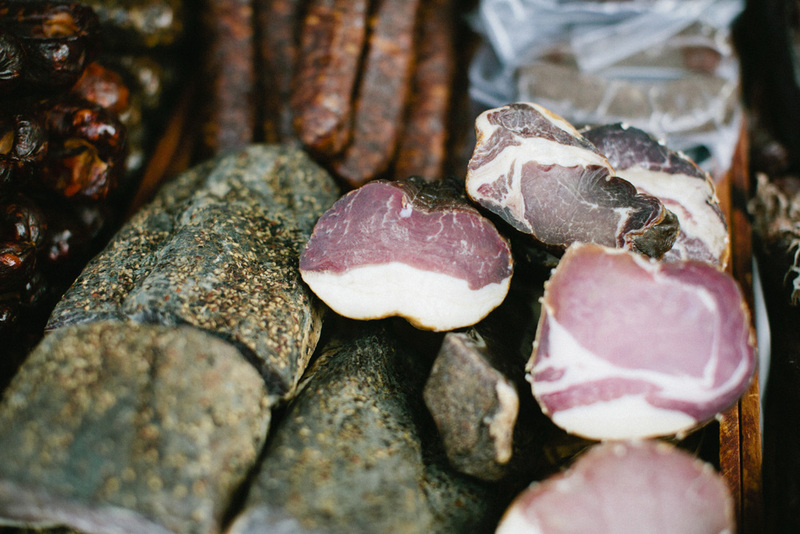 All their products, 100% natural with no added chemicals or preservatives, are slowly dry-cured in very traditional centuries old ways that they bought from Serbia. 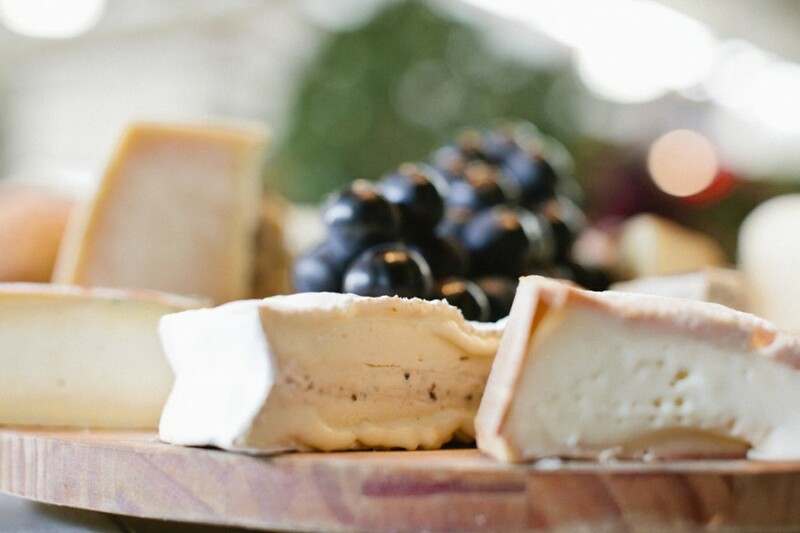 They’re cold smoked using beech wood shavings from the South Island. 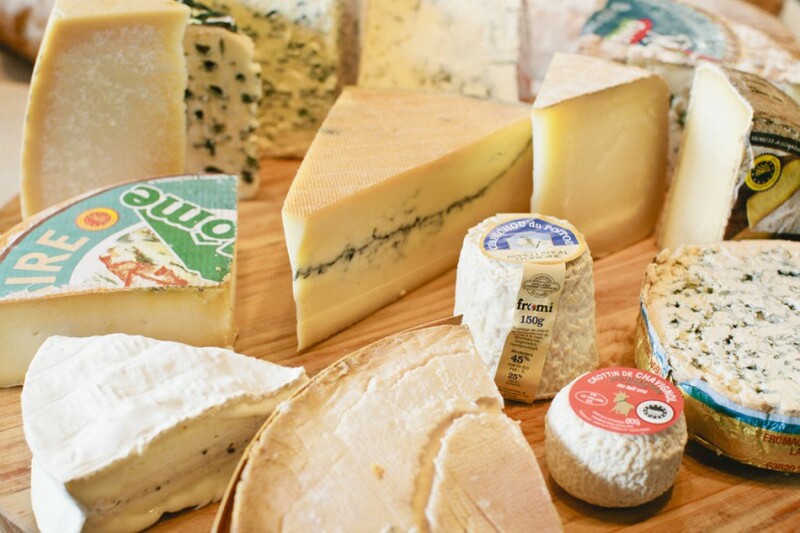 This gives all their outstanding products deep rich flavours. This award winning limoncello comes as a result of the combination of the knowledge from a very passionate Sicilian and the some of the worlds best fruit grown in Kerikeri. The exquisite end product is now recognised as some of the best on the market. Sweet&me is a Speciality Cakery that is true to the Pacific spirit. The visual appearance and ingredients used are a reflection of the Islands, as well as New Zealand, and evoke memories for all occasions. They are hand crafted based on your desires and offer great value. Bertrand and his sweet smile is here every weekend. Tahsin and his family came to NZ over 10 years ago. From small beginnings, Tahsin now sells a huge variety of traditional Turkish foods – every sort of freshly made hummus you can imagine, dips, olives, breads, baklava, Turkish Delight, oils, pomegranate juice, dried fruits, nuts, seeds and, recently added, spices. It’s very difficult to go passed his stand without stopping to buy. Try their freshly made Gözleme, either spinach or meat. They’re so good. The Midnight Baker began four years ago with Yeshe Dawa and her unsuccessful search for good gluten free bread. 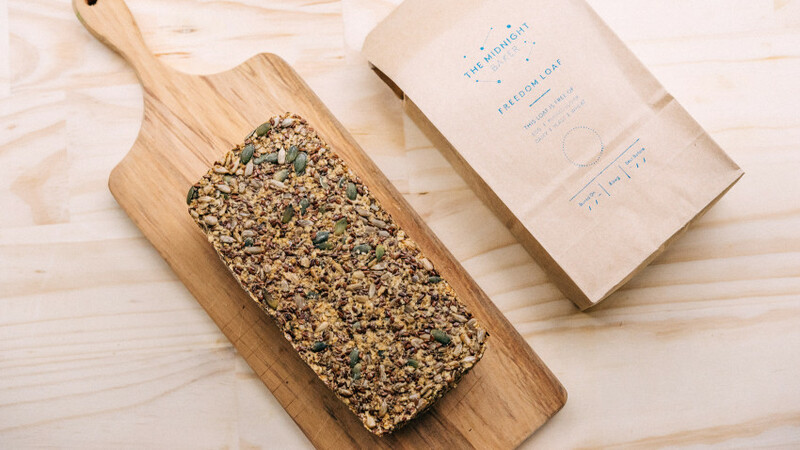 She turned to making her own creations which brought about the Freedom Loaf, a delicious, filling seeded loaf free of gluten, wheat, dairy, refined sugar, yeast and nuts. 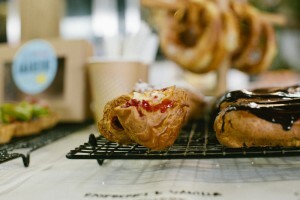 Since then she has grown her one woman late night side project into a small bakery supplying loaves to cafes and restaurants around New Zealand, and a plant based weekend eatery in Mt Eden. 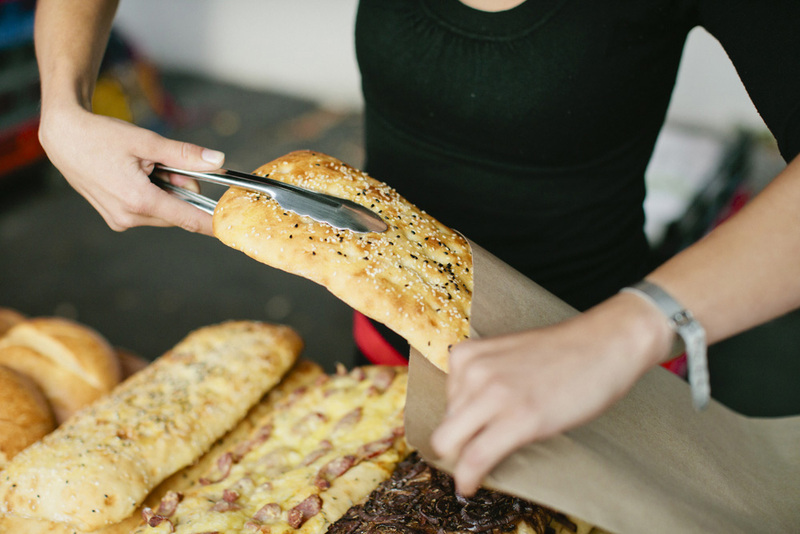 A passionate baker, her mission is to make delicious food that just so happens to be gluten & dairy free; to give customers the freedom to eat without worry and to enjoy food in its most natural, nutritious form. Wilson Owen is one of the true characters of our market. Stop and have a chat and he’ll tell you about the wonderful top quality vanilla beans, extract and sugar that he sells as well as fresh hazelnuts and walnuts. 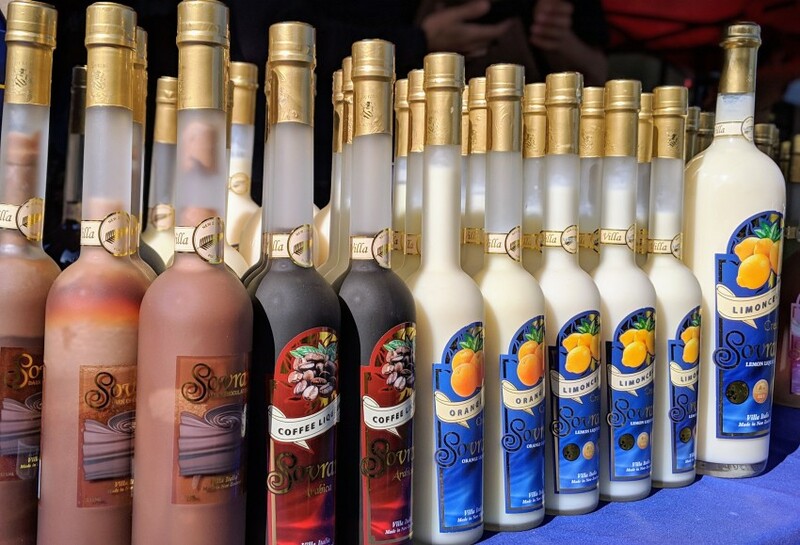 His vanilla products are regarded by chefs as the best available. Several years ago Barry and Sheryl converted their dairy farm to an olive grove and now have about 1500 trees. They have their own press which means they can harvest and press their olives all in one day. Barry usually has up to 6 award winning blends. All are available to try before you buy. His oils are the only ones we use. As well you must try a jar of his table olives. They’re amazing – in 2012 he won a Cuisine Magazine’s Artisan Award and was overall runner-up. Lemon, Dill and Chilli or Ginger, Coriander and Lemongrass, or Carrot, Fennel and Cerleriac. Fermented probiotic superfood with 4000 years of history, still eaten today. The world doesn’t need another ice-cream company. And while Wild & Whipped might look like another ice-cream company, it is so much more than just that. Wild & Whipped is a plant based, whipped fruit, minimal waste nicecream initiative. Made from a base of bananas & environmental ethics, you can enjoy a scoop or two knowing that your doing good for both your body and the environment. Their nicecream is naturally high in fibre, vitamins & minerals, and is both gluten & dairy free with no refined sugars – so you can feel as good as it tastes! 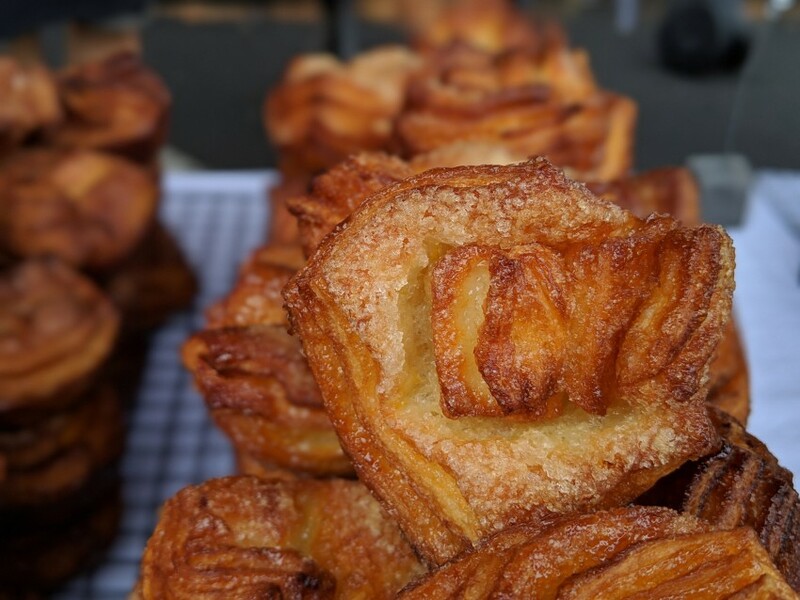 To Britomart, La Cigale brings it’s market favourites – croque monsieurs, almond croissants, pain au chocolat as well as their own Gravity coffee cart…every naughty treat to satiate your morning market needs. Helen quenches your morning coffee needs using Kokako coffee beans, helping you get through your morning! One of the original Britomart stallholders, Renee sells the most stunning, good quality flowers around. 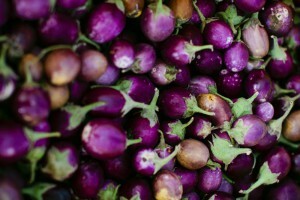 He also sometimes supplies seasonal fresh vegetables, season dependent. Kiwi Tucker promise the best mussel fritters and we tend to agree! Surely there’s nothing more quintessentially NZ than a mussel fritter breakfast. An institution within Auckland for many years, Philippe’s Chocolate make traditional French patisserie and goodies, catering to all us sweet tooths! Pokeno Blueberries is a family run business, seasonally providing beautiful fresh and frozen blueberries. 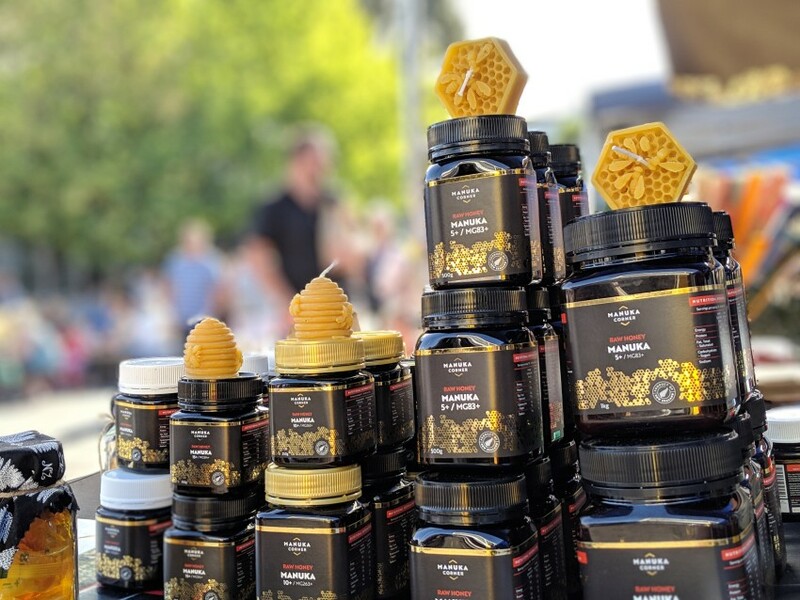 The team at Roar Honey take the finest Manuka honey from some of the most remote places in NZ, providing the most special honey products available. 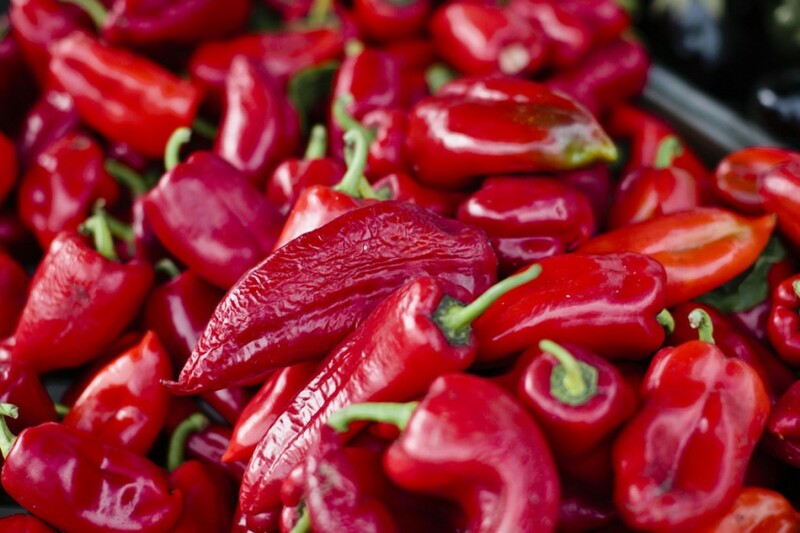 Salsaroha was started by Jorge and Ruby to capture the colourful flavours of Mexico in a jar by creating authentic, fresh salsas to be used by kiwis who love to explore new tastes. Scandibunz are Susanne and Bobby. Both grew up in kitchens; Bobby in his parents’ restaurant and Susanne at her mother’s workplace. 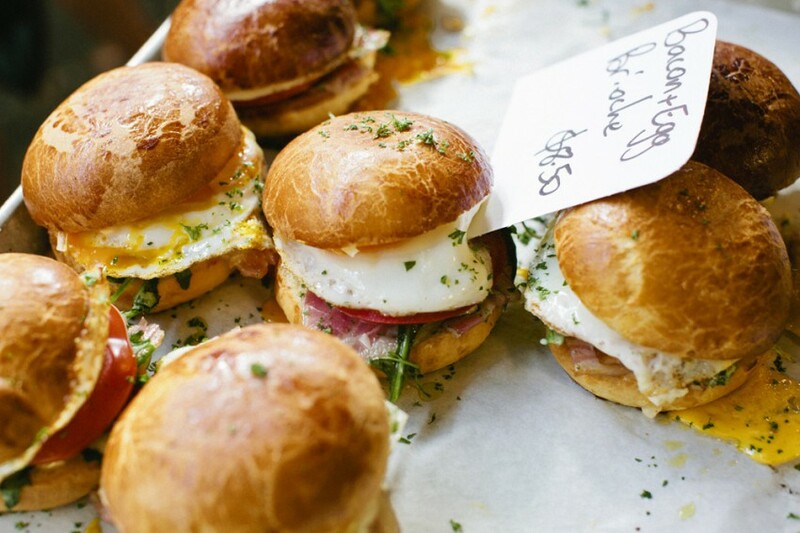 The buns they are offering a based on Susanne’s mother’s and grandmothers’ recipes with a healthy dose of New Zealand produce thrown in. A few kiwi twist have been added with their different flavoured buns, but the cinnamon rolls are very traditional. To ensure they taste just like they do in Sweden they even import some ingredients – such as the kibbled sugar topping. 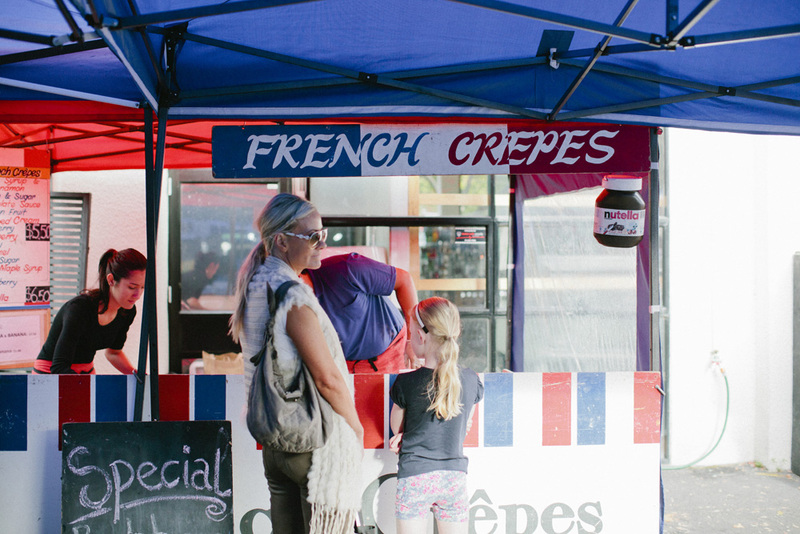 Sweet as Crêpes is a family business which specialises in making fresh French Crêpes with a kiwi twist. 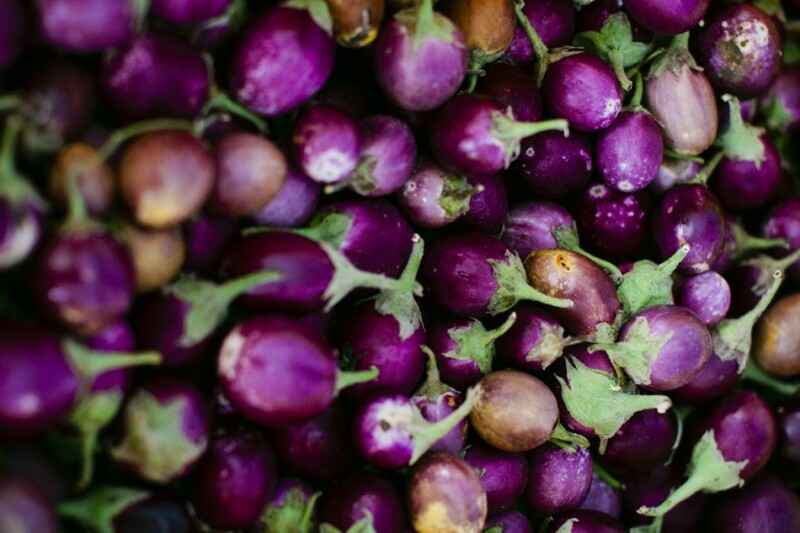 They pride themselves on using the best and freshest ingredients they can find, preferably sources locally. Sweet as Crêpes began in 2007 when an ambitious twelve-year-old girl called Annabel Shepherd set up a stall at the very first Coatesville Market North of Auckland. The name was a play on words incorporating Annie’s own initials. From small beginnings, markets, school fairs and family gatherings, they have become the local experts in this field and have now grown into an established business with events each week in Auckland and on the North Shore. Yinon, the person behind The Chili Factor, makes a variety of products inspired by food he’d eaten in Israel. He’s at the market every weekend selling a selection of hummus some with varying amounts of chili. At certain times of year he also has traditional matzos unleavened bread. Wilson Owen supplies buyers with freshly cracked New Zealand-grown walnuts, hazelnuts and macadamia nuts – all stored in refrigeration when cracked to maintain freshness. He also has freshly roasted nuts, both hazelnuts and macadamias, as well as mixed roasted nuts. Urban Fuel Mobile Juice Bar is focused on providing high-quality products – With a variety of offerings to choose from, what better way to start a morning. Made in the simplest way using the fresh fruits and vegetables from local farms, the team have turned those fresh fruits and veges into tasty, fresh juice as well as a series of desserts and snacks, without added preservatives or sugar.